Maple Ridge, B.C., native Larry Walker deserves a plaque in the National Baseball Hall of Fame alongside fellow Canadian Fergie Jenkins (Chatham, Ont.). Photo courtesy of the Canadian Baseball Hall of Fame. Legendary baseball scribe Peter Gammons voted for him. So, too, (I imagine) did Bob Elliott, the National Baseball Hall of Fame’s first Canadian J.G. Taylor Spink Award winner. Unfortunately, when the votes are tallied for the National Baseball Hall of Fame’s class of 2013 (which will be announced on January 9), we’ll likely discover that not enough other writers placed a check mark beside Larry Walker’s name on their ballots. As a Canadian baseball writer that’s not eligible to vote, I admit that I’m guilty of extolling – some would say exaggerating – the virtues of my fellow countrymen. But even when I look at Walker’s statistics objectively, I still firmly believe that he deserves to become the second Canadian player inducted (alongside Chatham, Ont., native Fergie Jenkins) into the hallowed Cooperstown shrine. Most baseball pundits, however, consider the burly Maple Ridge, B.C., native to be a borderline candidate. The two big knocks against Walker are that his offensive numbers were padded by playing 10 of his 17 big league seasons in Colorado’s hitter-friendly Coors Field and that injuries prevented him from achieving many of baseball’s magical milestones like 500 home runs and 3,000 hits. It’s hard to argue with those assertions, but if you analyze Walker’s numbers, compare him to his contemporaries and listen to how he was regarded by his coaches and peers, it’s hard to argue that he doesn’t deserve a plaque in Cooperstown. Jim Leyland, who managed Walker with the Rockies, called him “the greatest player he had ever seen.” And that’s saying something, Leyland has been around the game for close to 50 years and wrote Barry Bonds’s name into the Pittsburgh Pirates’ lineup for seven seasons from 1986 to 1992. 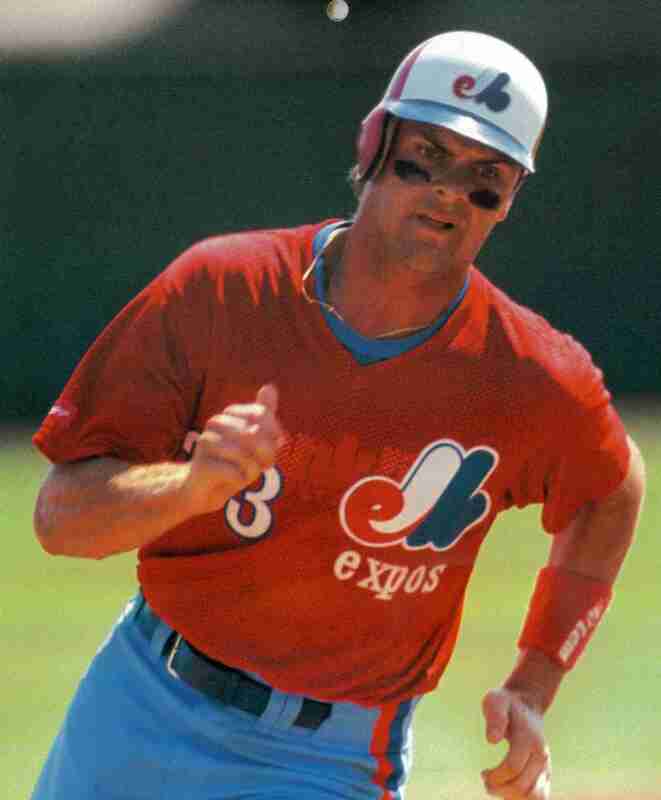 Former Montreal manager Felipe Alou once called Walker the greatest baserunner he had ever seen – a lofty compliment when you consider that Alou was coaching with the Expos during the Tim Raines era. Felipe Alou called Larry Walker the best baserunner he had ever seen. Photo courtesy of the Canadian Baseball Hall of Fame. Signed by the Expos in 1989, Walker was arguably the best all-around player of his era. No, he didn’t slug 500 home runs or register 3,000 hits, but I challenge baseball writers to try to find a weakness in Walker’s game? A perennial Triple Crown threat, Walker won three batting titles – the same number as first-ballot Cooperstowner George Brett – during his 17-year career. Baseball cognoscenti often insist that a player should be dominant for close to a decade to merit serious Hall of Fame consideration. Well from 1994 to 2002, Walker hit .339, the only big leaguer with a better average during that stretch was Tony Gwynn. Power? According to Baseball Reference.com, Walker averaged 31 home runs per 162-game season (better than Hall of Fame outfielders Andre Dawson, Jim Rice and Orlando Cepeda). In one of the best seasons in big league history, Walker hit .366 with 49 home runs and 130 RBIs in 1997. For his efforts, he was named the National League MVP, the first time a Canadian had garnered this honour. Power in the clutch? How about six home runs in 15 postseason contests with the St. Louis Cardinals in 2004? Most remarkable, however, is Walker’s career .565 slugging percentage, a stat that ranks him 13th all-time, ahead of Stan Musial, Mickey Mantle, Willie Mays and Hank Aaron. With a .965 career OPS (on-base percentage plus slugging percentage), he sits 16th on the all-time list. Just behind him on that list are Mel Ott, Ty Cobb and Willie Mays. And yes, though it pains me to write this, Walker’s offensive stats were boosted by the hitter-friendly Coors Field, but his OPS+ (an adjusted OPS figure that takes into account the ballpark he played in) was still a very solid +140. This number compares favorably to the career OPS+ recorded by Hall of Famers Reggie Jackson, Eddie Collins and Duke Snider. And as Alou would attest, if you remember Walker strictly as a hitter, you would be shortchanging him. 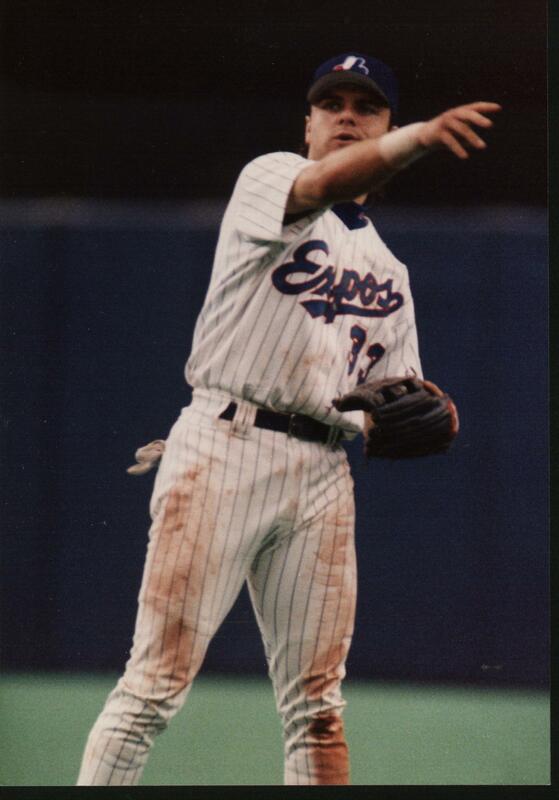 The proud Canuck swiped 33 bases in 1997 and 230 in his career. In fact, there are only 11 players in baseball history who boast more than Walker’s combination of homers (383) and stolen bases (230). Defensively, he garnered seven Gold Gloves and racked up 150 outfield assists (seventh on the all-time list for right fielders). And in an era rife with steroid allegations, Walker’s name was never dragged into those conversations. What Walker has come to mean to his country should also count for something. A first-ballot Canadian Baseball Hall of Famer and the first member of Baseball Canada’s Wall of Excellence, Walker has been the most influential player in Canadian baseball history. Ask Justin Morneau, Jason Bay or Joey Votto whom they idolized when they were growing up and whom they model their career after now? They are all bound to tell you Larry Walker. Despite his long list of accomplishments, Walker likely won’t come close to getting enough votes to be inducted into the National Baseball Hall of Fame this year. This will be his third year of eligibility and he was named on just 20.3 and 22.9 per cent of the ballots in his first and second years, respectively. A player needs to be named on 75 per cent for enshrinement. As master Canadian statistician Neil Munro points out, with a strong field of new candidates like Bonds, Craig Biggio, Roger Clemens, Mike Piazza, Curt Schilling and Sammy Sosa appearing on the ballot for the first time, Walker’s vote total may even drop this year. All of this pains me as a Canadian baseball writer who openly cheers for his fellow countrymen. But I’m capable of looking at players’ careers objectively and I respect that the Hall of Fame should only recognize elite players. Yes, Walker’s numbers were helped by Coors Field and injuries prevented him from achieving some magical milestones, but on the basis of all of the other evidence I’ve provided, I firmly believe that the pride of Maple Ridge, B.C. deserves a plaque in baseball’s most hallowed shrine. Thanks for comment, Len. You have added some great insight. Kevin, just give him time. I think Walker will get in, but it will take 10-15yrs being on the ballot. Players like him take time to climb the ladder. Several others started in the 20-25% range and got in, but it took time. I am the 2nd biggest cheerleader (behind you!) for Walker being in the HOF! Thanks for the comment, Scott. I hope you’re right. I tend to think the same way. I think he will fall short and the coors field thing will play against him. However, his numbers are better than some in the hall. Admittedly. I don’t think rice is hall worthy and it makes no sense that it takes people years and years to garner enough votes. He put up monster numbers but he will get short changed. Thanks for the comment, Devon. I hope one day Walker gets in though. I think you pleaded Walker’s case excellently. Your arguments for Walker are spot-on. Too many people have the knee-jerk “His stats are phony because of Coors Field” reaction to guys who played for the Rocks, but the OPS+ numbers separate the pretenders (Dante Bichette, anyone?) from the guys like Walker, whose numbers are impressive, Coors or no. Walker deserves his plaque.